Feeling nothing short of gorgeous on your wedding day is every bride’s well-deserved right! It’s one of the most photographed days of your life, so figuring out how to keep your makeup looking perfect all day is definitely something to keep in mind when it comes to your wedding to-do list. Luckily, we’ve attended a local wedding or fifty, so we’ve worked with lots of makeup artists right here in Lethbridge and would be happy to recommend someone! We’ve reached out to two of our favourites to share some of their knowledge with us. Whether you’re scouring YouTube to learn the best tips and tricks yourself or hiring an expert, their insights are sure to help! 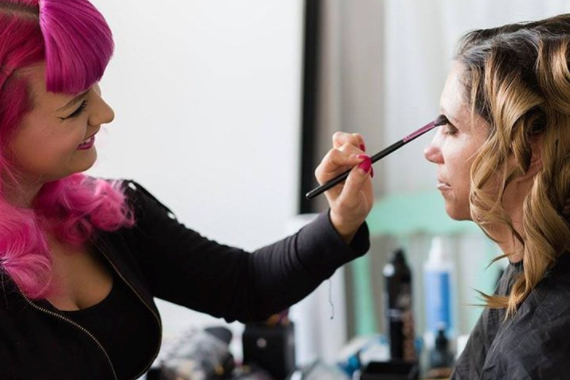 What is the first step in choosing the perfect makeup artist for your wedding? Katt Panic: Make sure that their style reflects the vibe that you’re going for! 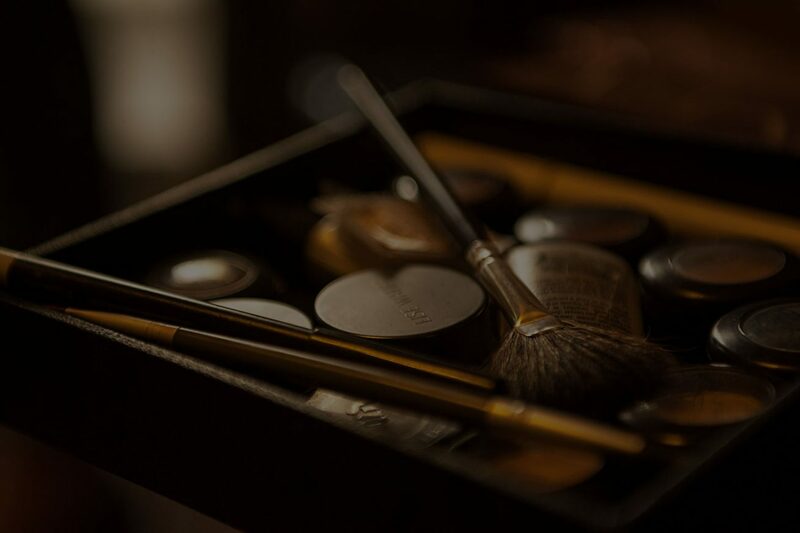 Whether you want something Bollywood, East Indian, or maybe just natural and airy – do your research and make sure that your makeup artist is qualified to to that type of thing! Don’t hesitate to check their certifications. Then, it’s time do a trial and make sure that your personalities jive! Kristen Mrazek: Take a peek through their website & social media and make sure that their work matches the aesthetic that you’re looking for! It’s also important to do a trial to make sure that you get the look you want for your big day – and you’ll also be able to see if your personalities mesh well! One more suggestion… do this early! A lot of brides wait too long to reach out to a makeup artist, and it’s a huge bummer when your date is already booked. Start looking about 6-12 months before your wedding! What are some skin care tips for the months leading up to the wedding? Katt Panic: If you’re going to go for a facial, go two weeks prior to the wedding. Don’t change up your skin care, and put the smallest amount of stress on your skin as possible! Dietary changes shouldn’t be abrupt or crazy – that could lead to a breakout and nobody wants that! Oh, and drink water! Sleep! Limit alcohol! You’ll be glowing on your big day. Kristen Mrazek: I always suggest a facial a few weeks before your big day! If that’s not possible, exfoliate at least once per week – and stay moisturized! It’s very important to prep your face so that we’re working with an ideal canvas on the most important day of your life. What are some of your favourite products & beauty picks that you’d recommend to couples? Katt Panic: If you’re looking to kill some shine, blotting sheets are a wonderful thing to pack into your purse or emergency kit. And staying hydrated from the inside out is crucial to keep your skin in tip top shape for your big day – Evian water spray and rose water are awesome for hydrating, and of course don’t forget to drink lots of water! – I’m loving Urban Decay Naked Skin Foundation – it’s super lightweight, has a huge array of colours with different undertones to suit all skin tones, and gives an amazing base for the rest of your makeup! – The Urban Decay Setting Spray in All-Nighter is one of those ride-or-die products that I just can’t live without! It sets the face & makes sure that nothing budges throughout the day… and when it comes to such an emotional day (often with unpredictable weather) a setting spray is an absolute must! What is the best place for potential clients to find you online? Katt Panic: You can find me on my website! I’m also a bit of a social media junkie, so I am on Facebook, Twitter, and Instagram – and I always try to respond to all of the comments and messages that you send my way over there. 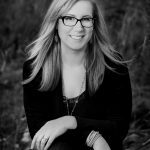 Kristen Mrazek: You can find me through my website and I’m also on Instagram! Thank you Katt and Kristen, for sharing these tips! We hope that you find them helpful as you’re planning your wedding makeup!